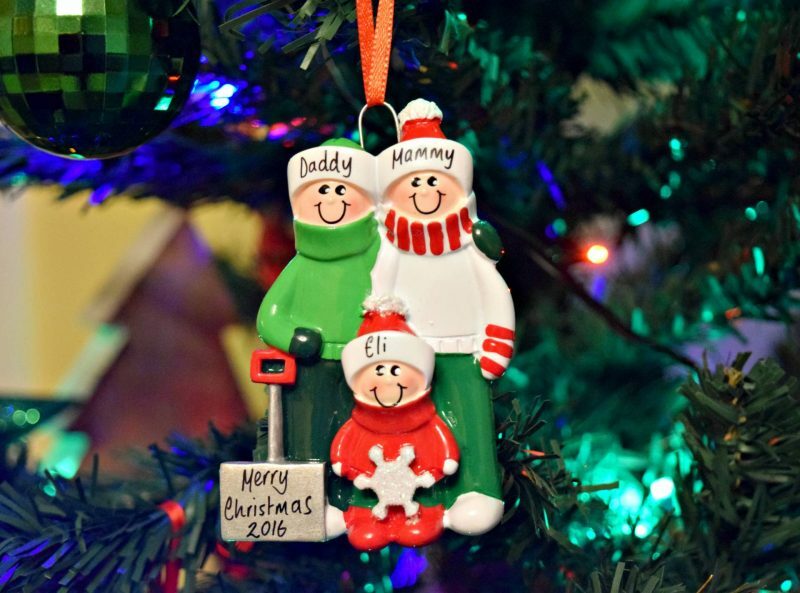 I love this time of the year and now that the little man is old enough to enjoy all Christmassy things we can partake in further afield festive trips, like our recent weekend in Manchester. 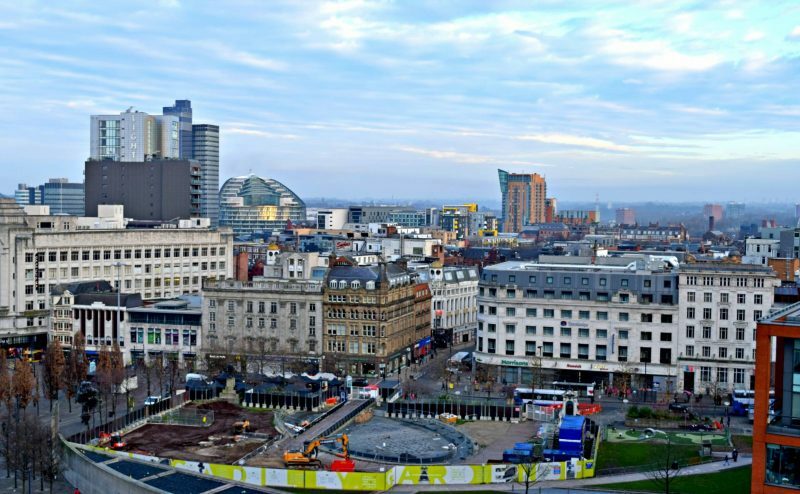 We were kindly invited to stay at the Mercure Piccadilly Hotel in Manchester last weekend and try out their city centre hotel and visit Winter Wonderland at Event City. The hotel is home to 280 bedrooms, an International suite which can fit in up to 800 guests ( which was being set up for a Christmas Rio Carnival during our visit) and is even able to hold weddings. 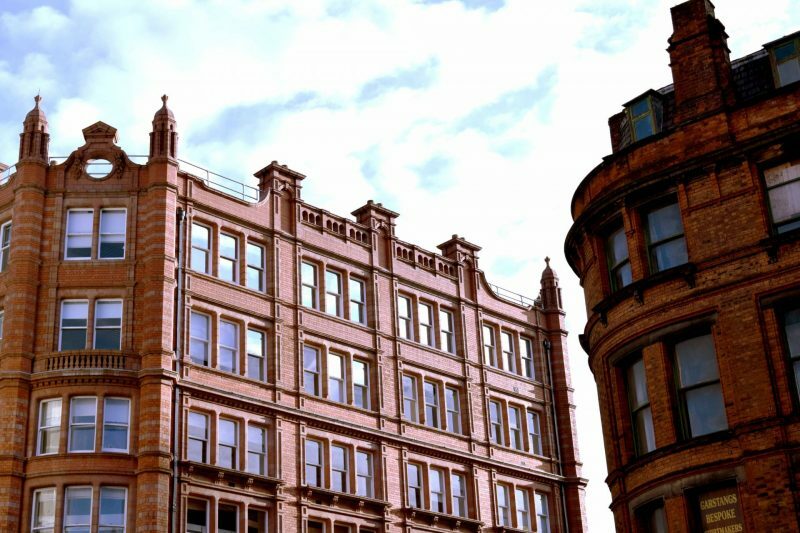 It’s smack bang in the centre of the city with some of the rooms boasting views of Picadilly Gardens. 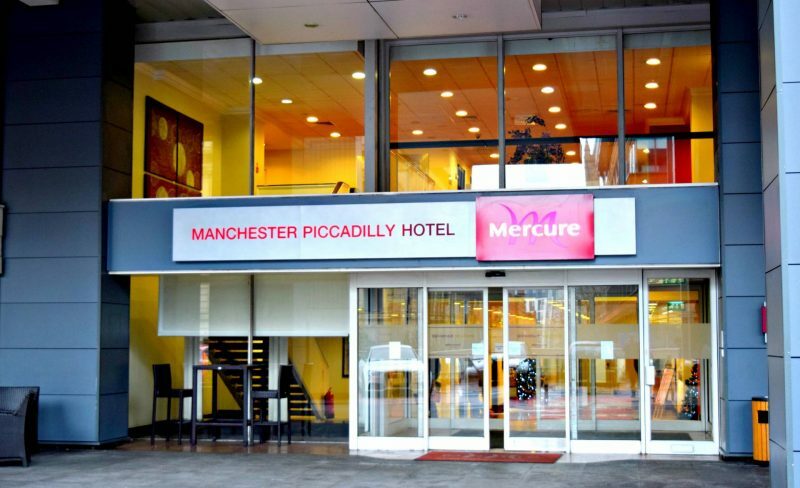 The Mercure Manchester Piccadilly Hotel is really easy to find, and we were grateful find a car park attached to the hotel ( a rarity in the city centre) when we got there. 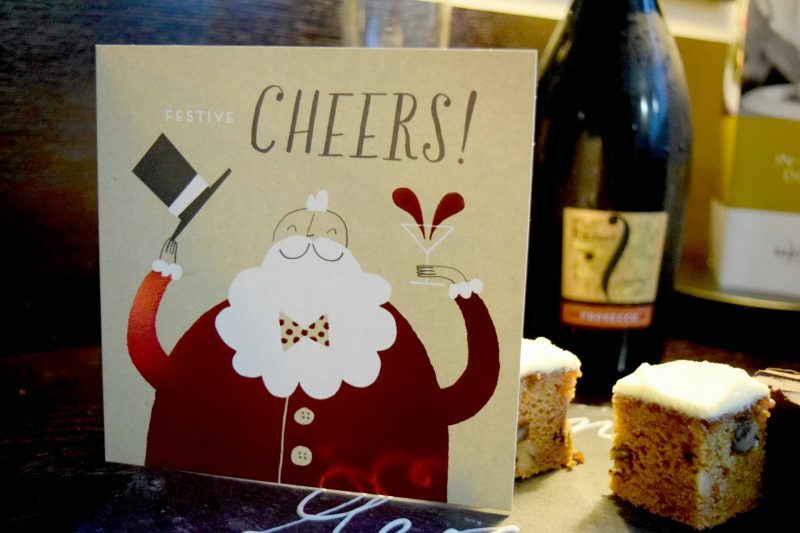 We headed to the first floor to check in and because we were a little before the 2pm check in time, we were given the opportunity to leave our bags and take the short walk to bustling Manchester shops and Christmas market to get in the festive spirit. After a short wander round the atmospheric city, we returned to the hotel and were swiftly checked into our room on the 9th floor. Our room was small but we were able to fit two adults and a toddler in without any issue. With a decent sized bed, roomy bathroom and plenty of storage space the room was perfect for our short stay. There is free WiFi throughout the hotel which worked perfectly in our room and I was grateful of the tea and coffee facilities which we took advantage of before heading to bed – we are so rock and roll! 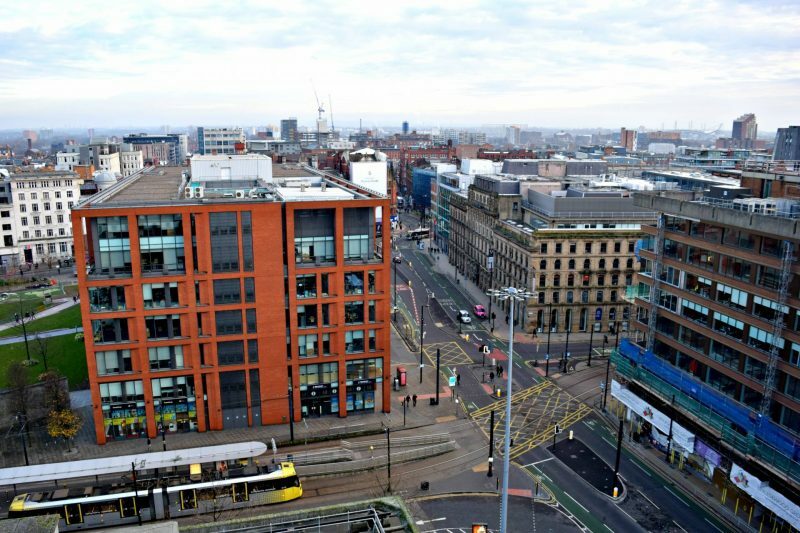 Our room had a great view over Piccadilly Gardens which was a great touch. I love a room with a view and made the most of people watching below while enjoying the lovely cake and Prosecco Mercure kindly left us. 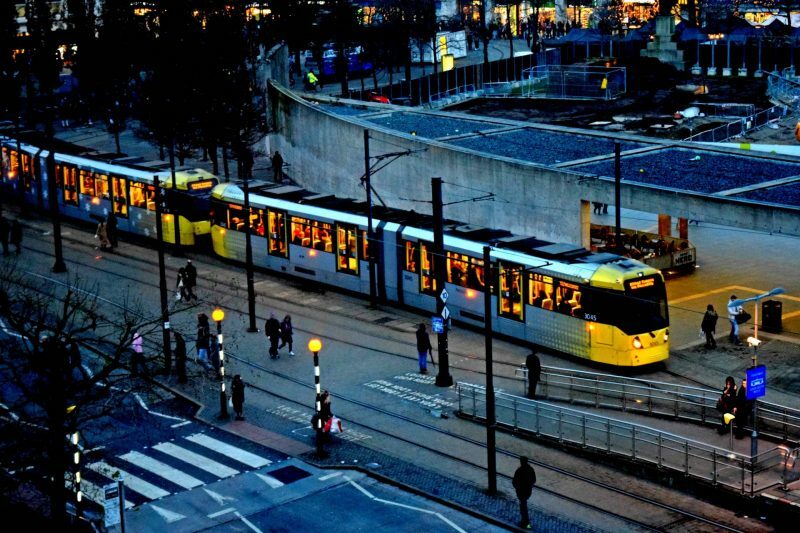 There’s tram stop right outside the hotel and there are numerous bus stops nearby ( it’s worth noting this as it can be quite noisy from the traffic below if you’re a very light sleeper). 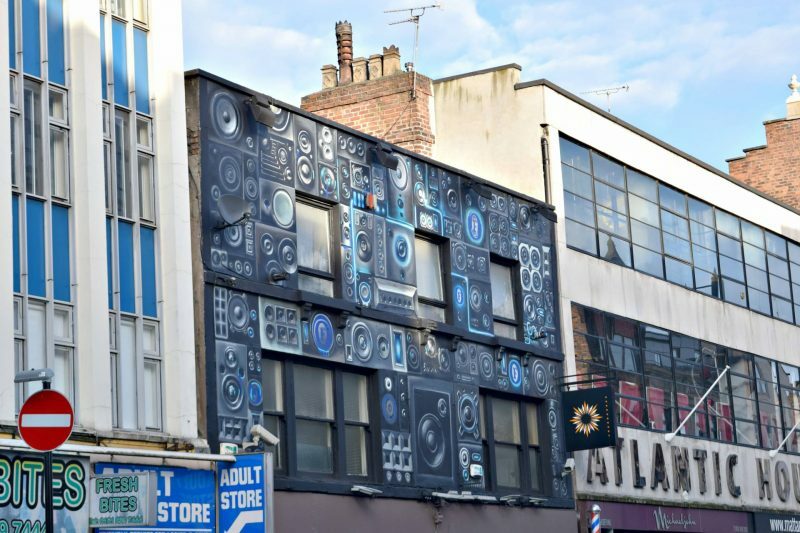 It’s the perfect location for a city stop over at any time of the year and is in close proximity to the train stain, nightlife and shopping areas. After a quick freshen up, we headed down to the restaurant to sample their afternoon tea and meet up with the other bloggers on the trip. The Brassierie restaurant is on the same side as the hotel as our room, again with a fab view of the city below. It’s the perfect place to drink a cocktail or two and try out some of the hotels food options. After some tasty treats and bubbles we were shown round the hotel by one of the managers. We got to check out the uber fancy International Suite which can accommodate up to 800 people and over the festive period, is the perfect setting for the Rio themed Christmas Carnival. The hotel also has a gym with the best stair climber I’ve ever seen and an array of meeting and board rooms. Regardless of your reason for visiting, the hotel seems to tick all the right boxes for it’s guests. After our hotel tour we were ready to head off to Winter Wonderland at Event City. Event City is near the Trafford Centre and with the gridlocked Christmas traffic, took us around 30 minutes to get too by car and we struggled with parking so ended up dumping the car in the Trafford Centre. 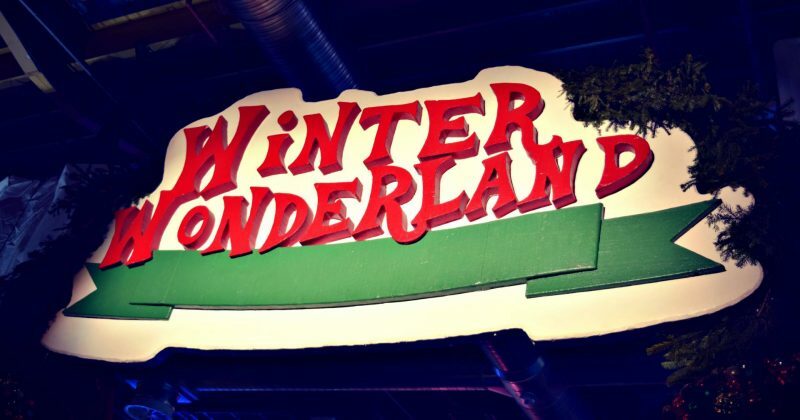 It’s the 4th year of Winter Wonderland, which is child’s heaven of rides and attractions all under one roof. Tickets cost £19.50 for children and adults, OAPs are £14 and under threes are free. 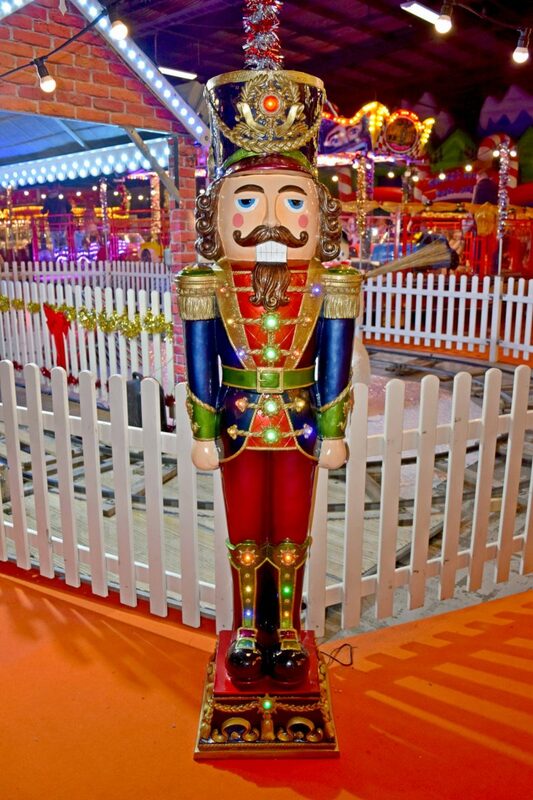 Winter Wonderland is amazing if you’re a small child. 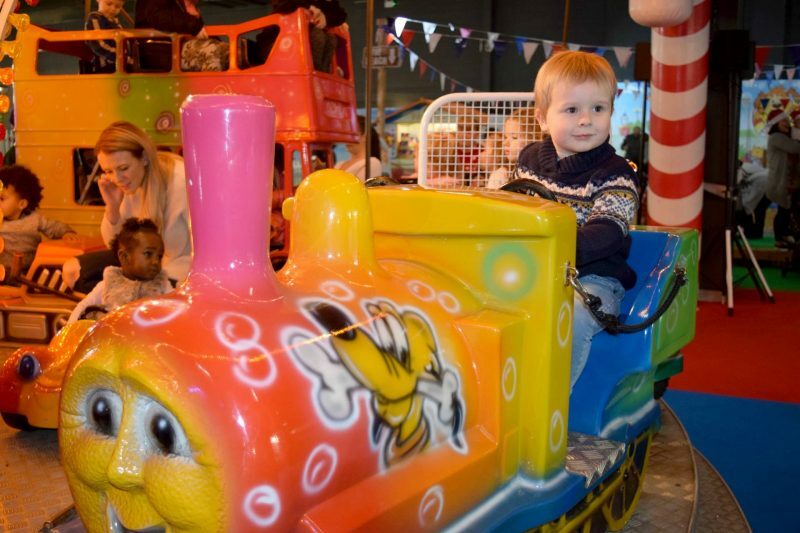 It’s full of bright lights, catchy music and fun rides and amusements. The little man was in awe as soon as we walked through the door. It’s not really somewhere you’d want to visit without children – the rides are all aimed at younger visitors and boy, it’s loud! A couple of hours at Winder Wonderland we headed back to the Mercure to eat. 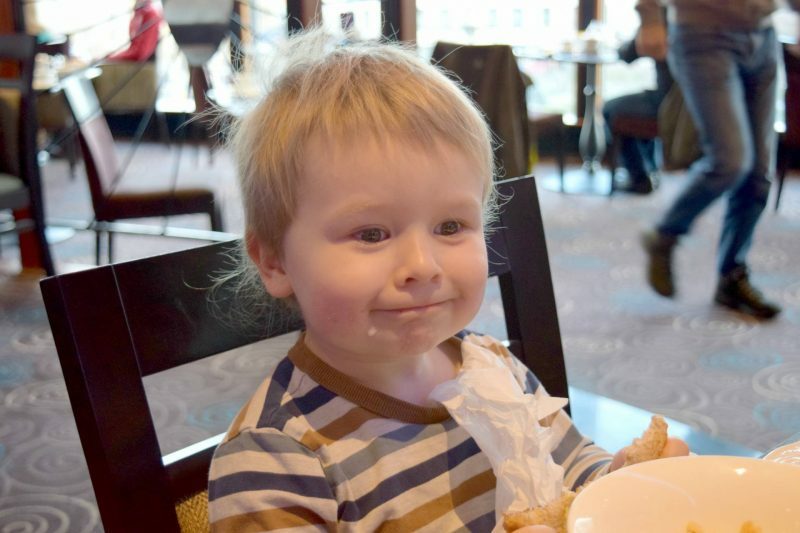 We returned to The Brasserie where the little man could choose from a special childnre’s menu and we were able to pick from a range of delicious winter warmers like Betty’s Hotpot and fish and chips. I started with a Butternut Squash soup sprinkled with a dash of chilli and Creme Friache. 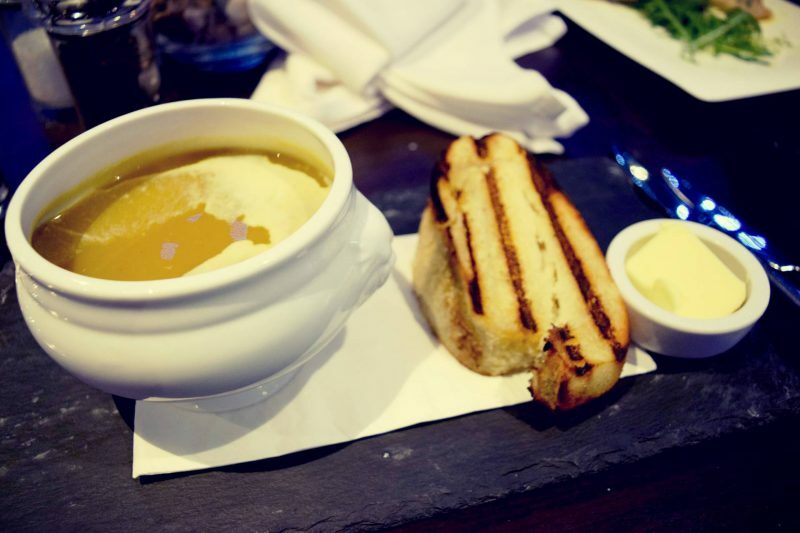 It came served with a huge chunk of crusty bread and was like Winter in a bowl. It was full of flavour and perfect to get rid of the outdoor chill. Next up, I chose locally sourced Cheshire Sirloin steak with huge chunky chips, Portobello mushroom and tomato. 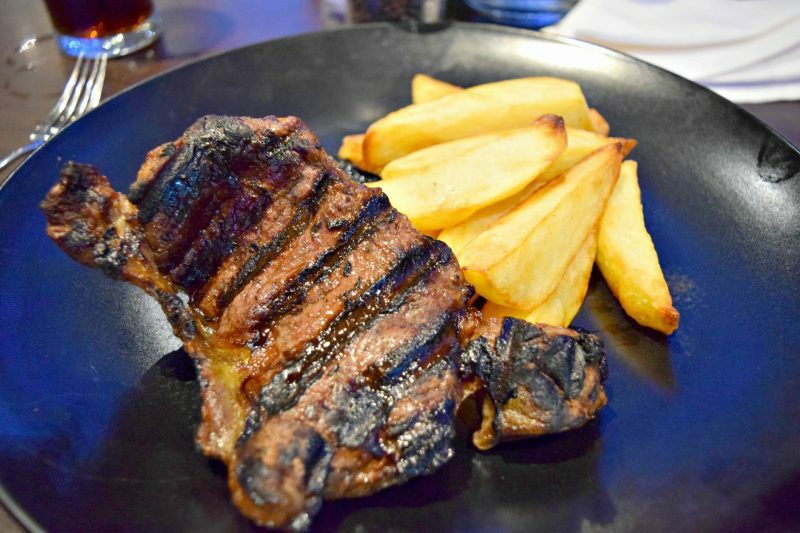 The steak was juicy and cooked exactly as I like it – medium rare. Despite the fact I was clearly full of yummy food, I couldn’t bypass the dessert menu. 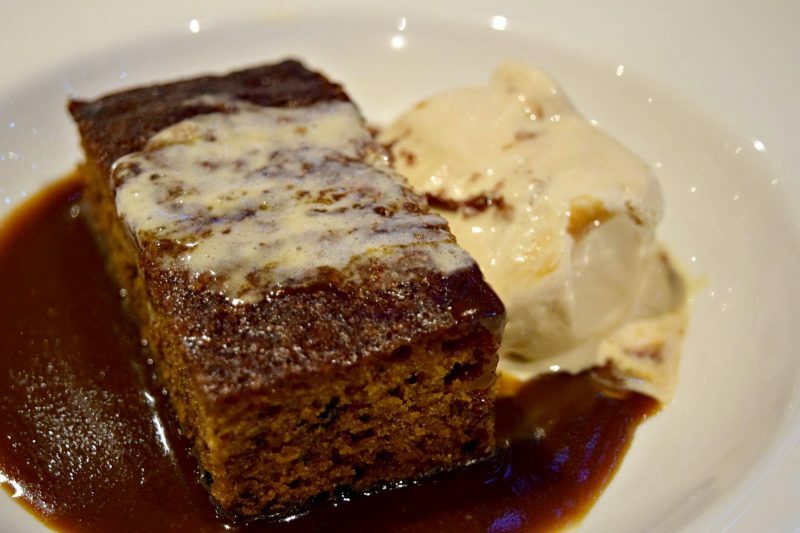 I opted for Sticky Toffee pudding with Cheshire Farm toffee ice cream. The portion was huge and extremely moreish. It was the perfect end to a great three course meal. After our busy day our full stomaches meant we wanted to get tucked up in bed. Whilst we’d been out, housekeeping had put up a cot bed for the little man but we soon realised the bed was big enough and comfortable enough for the three of us, so we settled down for the night in the super comfy bed. We were up early the next day and raring to go … for breakfast. We a huge selection of both cooked and continental options, we were spoilt for choice. Hubby and I went for a full English whilst the little man had his pick of cereals, fruit and toast. 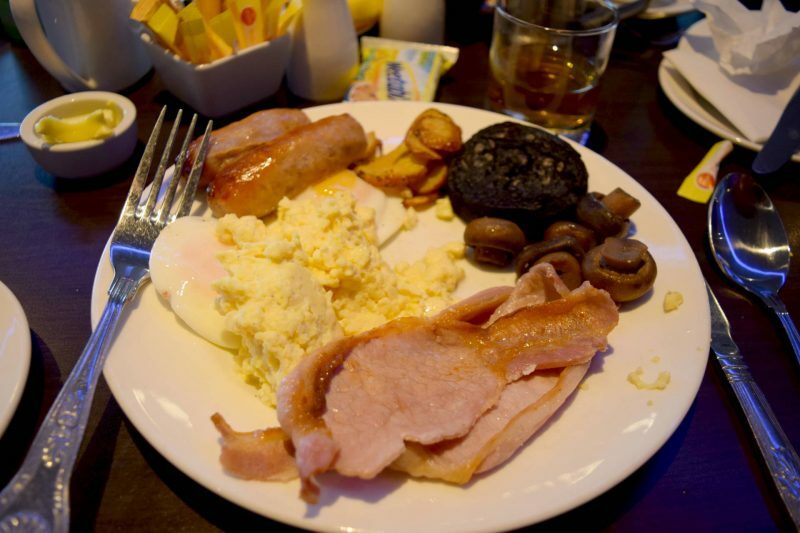 I was really impressed with breakfast, it’s without a doubt worth paying the £11 per person to add to your hotel tariff. Both during the meal the evening before and at breakfast the serving staff were helpful, friendly and attentive without being intrusive. 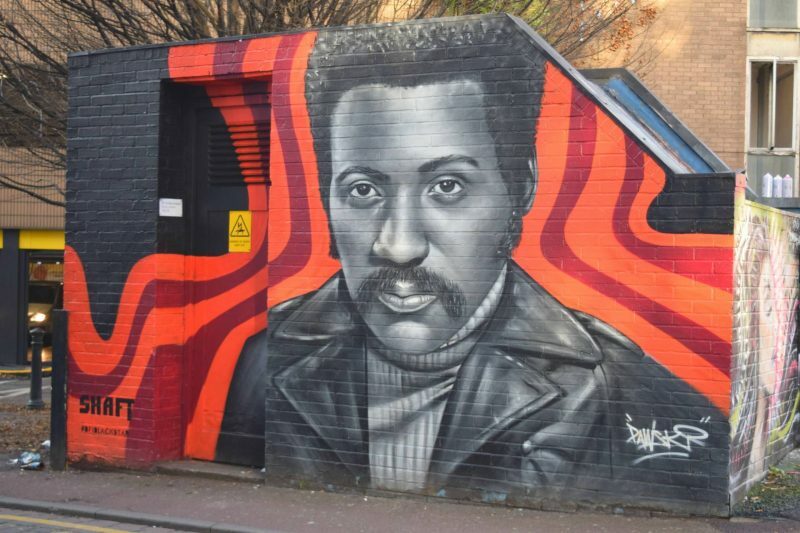 Once we’d checked out we had one last wander round the Northern Quarter and spotted some great street art and beautiful buildings. 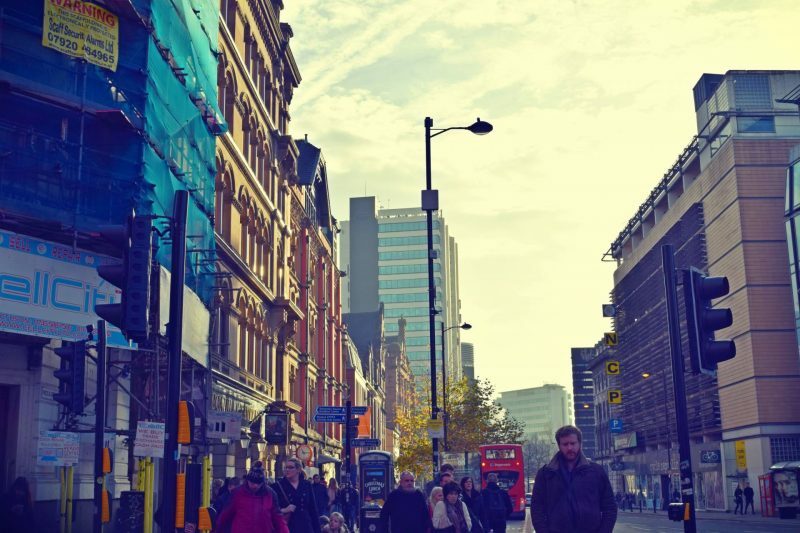 I love Manchester, it’s such a vibrant and fun city with some much to see and do. It always feels like a much friendly version of London. 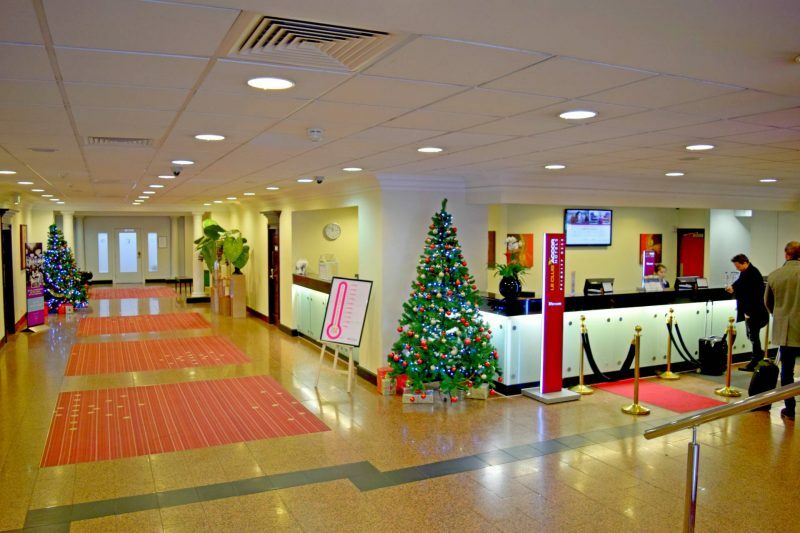 The Mercure chain have a great range of Winter Break offers on their website for Manchester and various other UK cities, I just wish we had time to squeeze in another city break before Christmas! 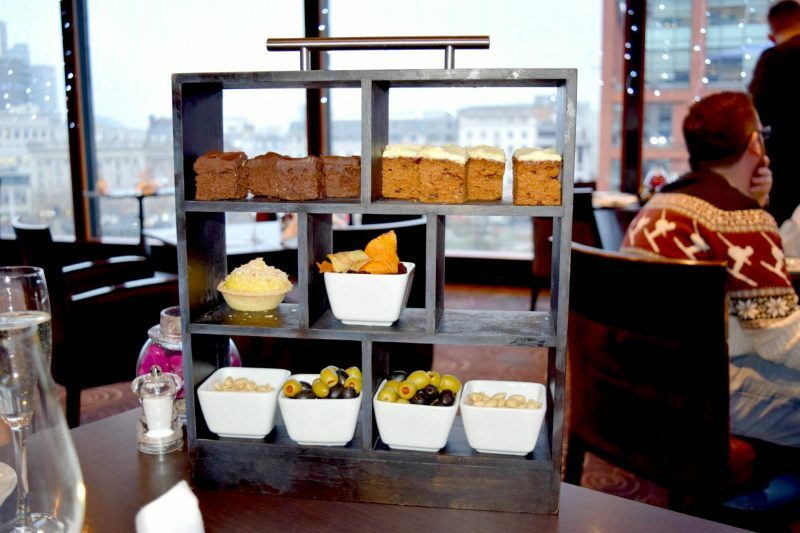 We had a lovely break at the Mercure Manchester Piccadilly. It’s central, very clean and comfortable and the food is delicious. 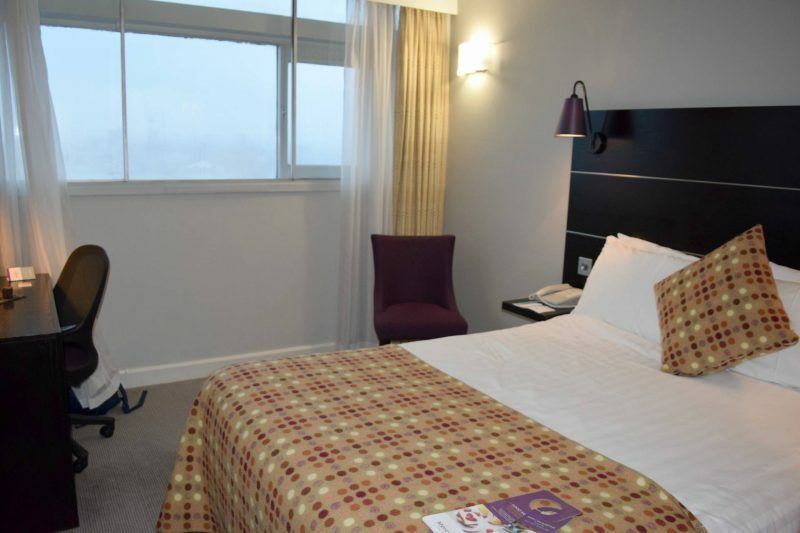 It’s an ideal location if you want to be in the city centre and is much more luxurious than the basic budget hotels that have sprung up in recent years. If you fancy trying another of the Mercure hotels, it’s worth checking out their special offers page. You might be able to grab a bargain in the new year. 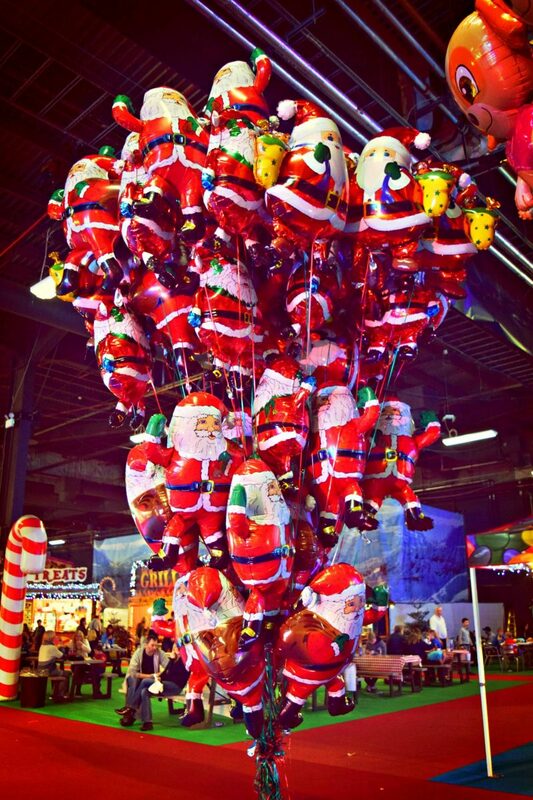 Our overnight stay was complimentary stay at the Mercure and include, food, drink and tickets to Winter Wonderland. My opinions are my own.